Yes! They are so much fun to draw. There is literally a plethora of things you can add to ocean floor pictures. 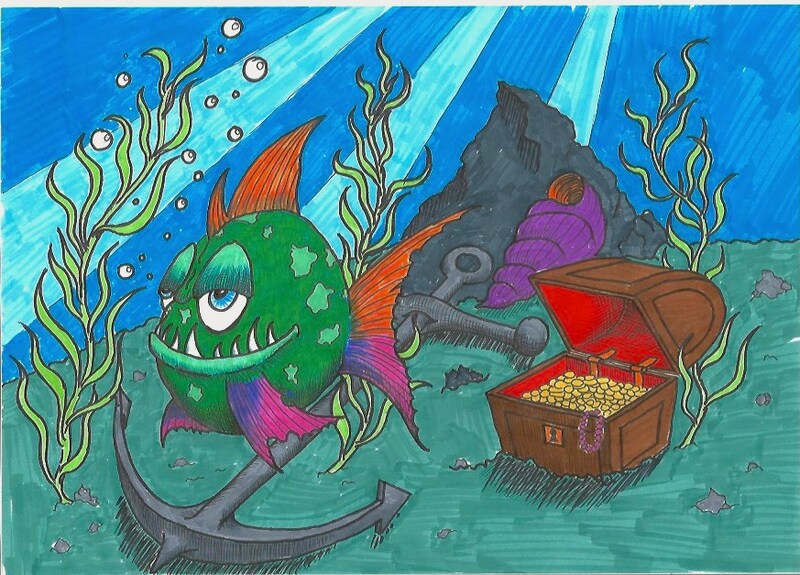 In this one I have a fish, some plants, a rock, a treasure chest, an anchor and a conch… Quite a few items, that are, by themselves, fun things to draw. As a matter of fact, I will probably be making tutorials for all of them. Once again, this goes to show, how many areas you can dive into in your own drawing. Isn’t that just fantastic to think about?!? This is an area where you can literally improve and discover new things your entire life… What a gift! So rejoice in the fact that you have undertaken this marvelous journey, and keep creating! Happy drawing, and as always I’d love to hear from you, so by all means, leave me a comment. I love reading them!